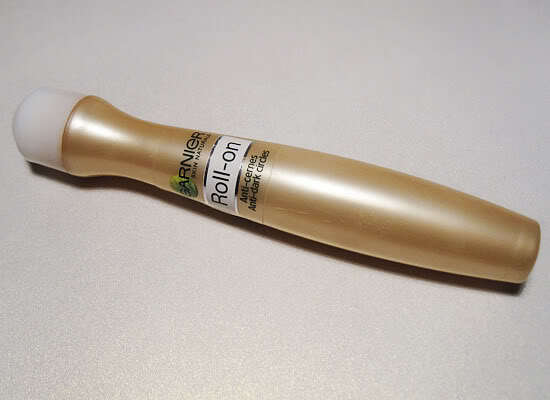 But, Garnier tinted eye roll on is one product which has me so hooked, you could swear it had caffeine in it! On the first count, I'm not too sure of the cooling effect. However, it does hydrate puffy looking eyes and make your eyes look brighter. Your kohl is very likely to look so much brighter and better in general, if the area under your eyes is not puffy and discolored. On the second count, it does work well for your dark circles. It might not do what a concealer does, but for everyday wear, its perfect coz a) Its available in shades for every skin tone (medium, fair, very fair), b)You can use very little and blend it in with your index finger and it blends in well, c) You do not necessarily need to use it with a make up base unlike a concealer. Wearing: Garnier Under Eye Roll on, with make up base. I think I will be using this one for a long while. For those exceptionally annoying college Mondays, work Mondays or any other week day, its a good bet. that's nice that the product hydrates your eyes, you look fab in the last picture! I really really want to try this out! I've heard a lot of good reviews about it! Eye makeup does look waayyyy better when I've taken care of those dark circles...and yes, I already have it!! I'm gonna go get one of these ASAP! I am yet to get it..trying it soon..
i use this everyday without fail... I love it especially as it now comes in different shades. i need to try this! i really want a good eye cream.